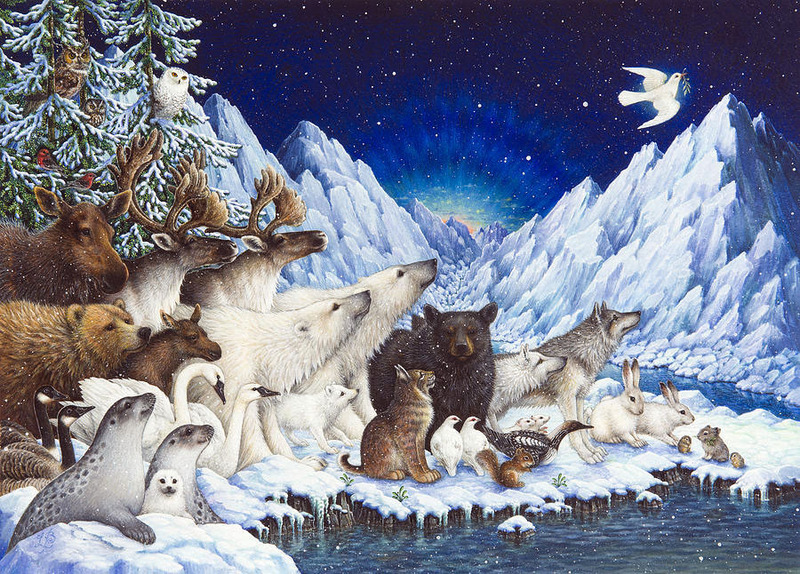 More than usual this year, I have been drawn to Christmas / Yule art, especially those pieces with an Old World feeling and those with animals. It's even better when St. Nick or and angle has an animals with him/her! I have pinned quite a few Christmas beauties on a couple of my Pinterest boards. After browsing them, I decided to share a few with you. I’ve included the artist’s name and/or link - only fair. I hope you enjoy these and that they put you in an even more festive frame of mind. MERRY CHRISTMAS and HAPPY YULE!